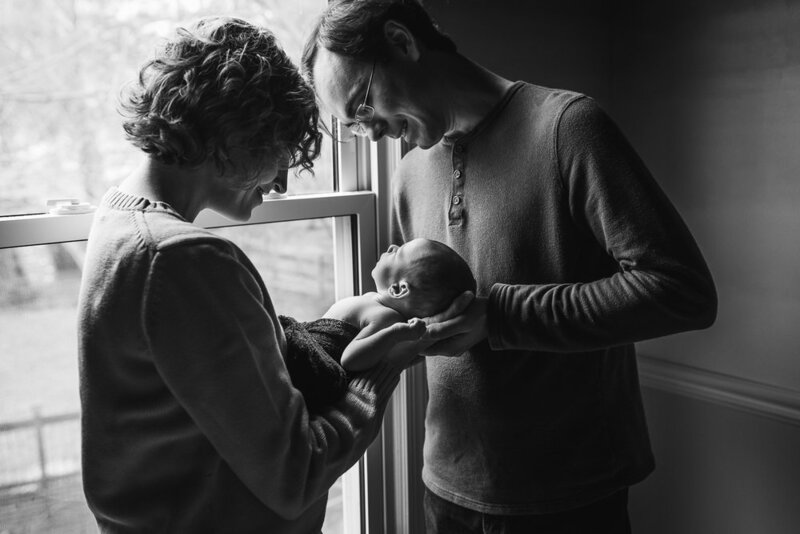 A Handmade Cradle & an Adoring Family | Baby Elliott's Northern VA Newborn Session — Northern VA Newborn, Maternity, and Family Photographer serving Ashburn, Leesburg, Purcellville, & Loudoun Co.
(tapping microphone) Is this thing on?? Oh, it is? Pshew! This fall and winter were a complete whirlwind for me. Full of wonderful things: a big move, a new home, a new town, amazing clients old and new, and lots of love and laughter (and crying and whining) with my husband and kids. But there are a few things it was not full of: TIME, SLEEP, ENERGY, & SANITY come to mind. 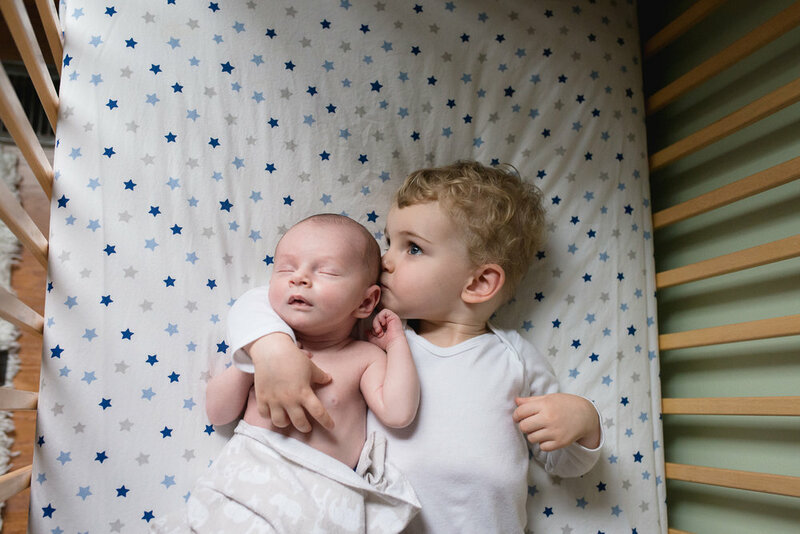 In the process, my little blog here gathered a bit of dust so I am happy today to fix that with a post about my most recent newborn session! 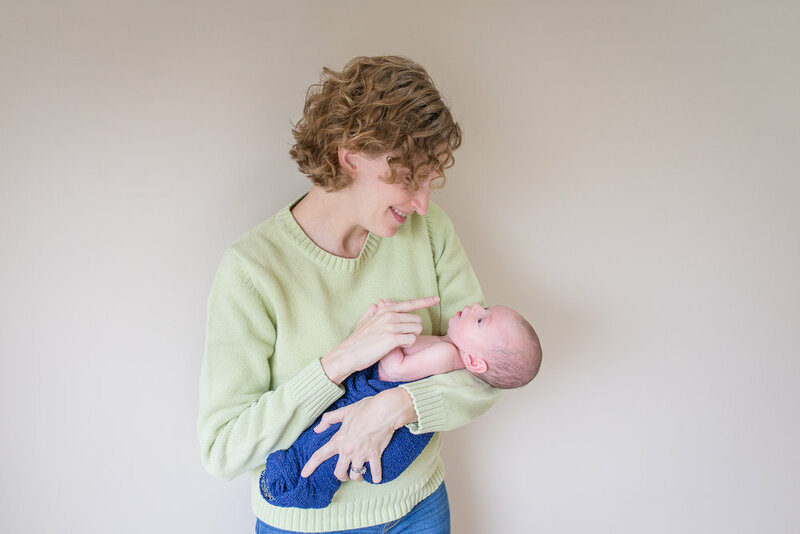 (Interestingly, my previous newborn blog post was for a baby Elliott too! It's a wonderful name!) . Hopefully I can work backwards to catch up on my blogging backlog...fingers crossed! 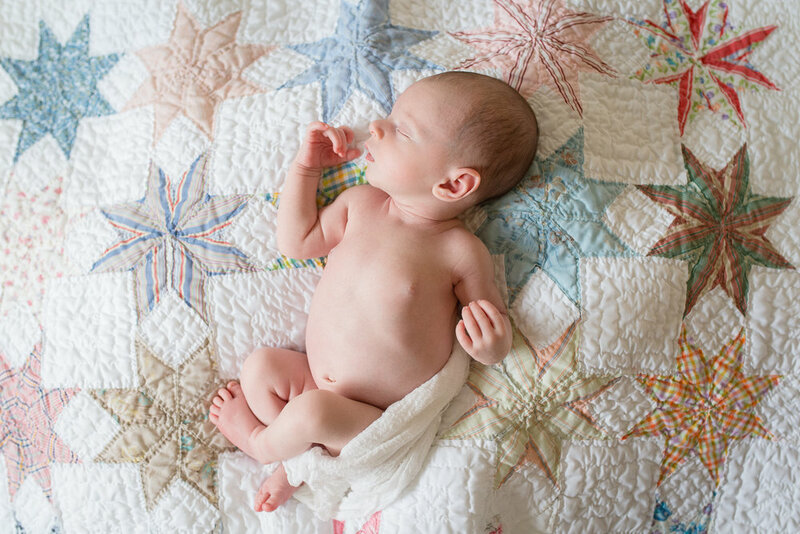 Introducing Baby Elliott, a sweet little guy who was so relaxed during his session. He barely made a peep, and that one little peep was about as loud as he gets according to his doting mom and dad. This little guy threw them for a loop when he came into the world at a much faster pace than his older brother, Sebastian. He must have been ready to get this party started! Elliott had the sweetest little feet and hands (which he loved to keep up near his face) and such a sweet temperament. It was a rainy day on the morning of his session, but we didn't let that stop us from finding really beautiful light-filled room with a window bench. 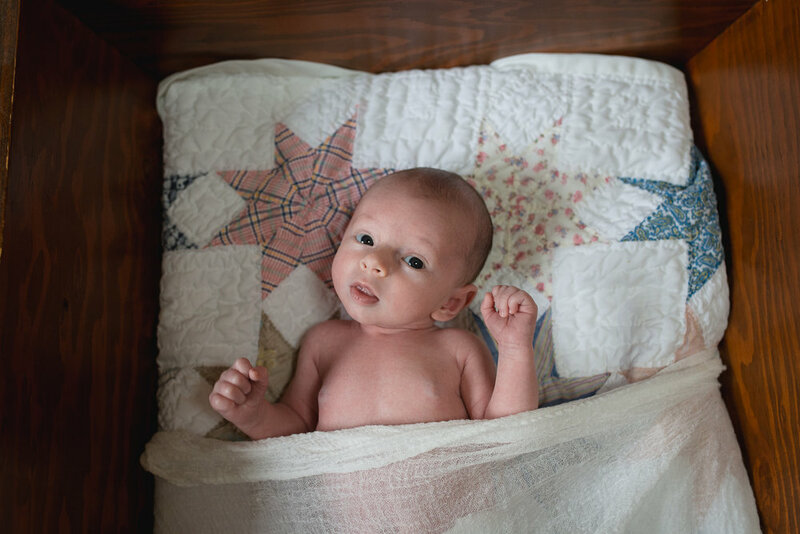 I was SO excited when Meredith mentioned that she wanted to incorporate the hand-crafted wooden cradle her father had made for her as an infant as well as a beautiful homemade quilt that was passed down through her family. Quilts and cradles??? I live for this. 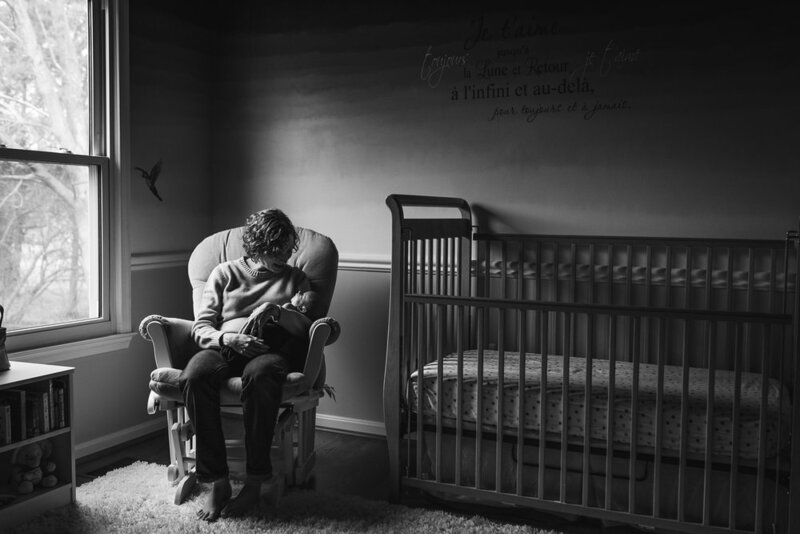 One of my favorite shots from this session was of little Elliott's tiny footsie poking up from out of the cradle, highlighted by the window light. Something tells me that his mommy may have done the very same thing as a baby and there is something so nostalgic and special about that. 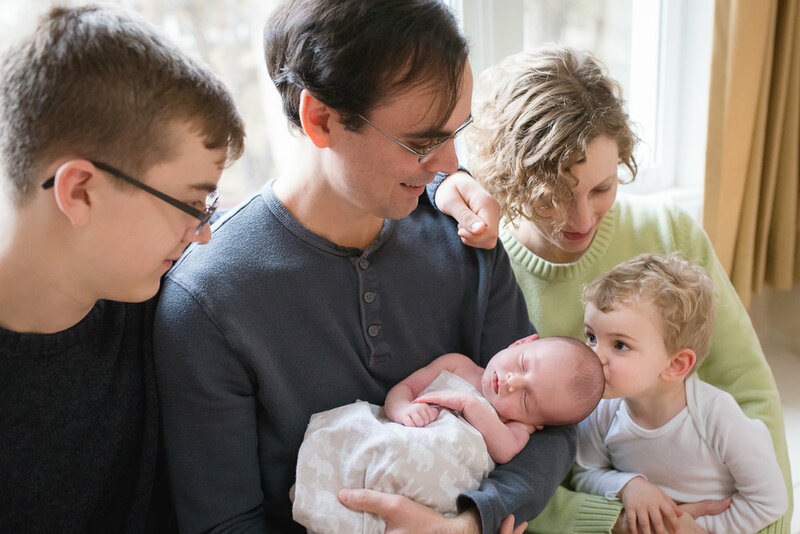 Elliott was surrounded by love: Meredith and Tory, his mom and dad, along with big brothers Sebastian and Conner. Conner, a freshman in high school, was such a pro with his little brothers and I loved seeing him interact with them. I'm sure they will always look up to him as they grow older! Sebastian was perhaps the most easy-going two-year-old that I've ever worked with at a newborn session. 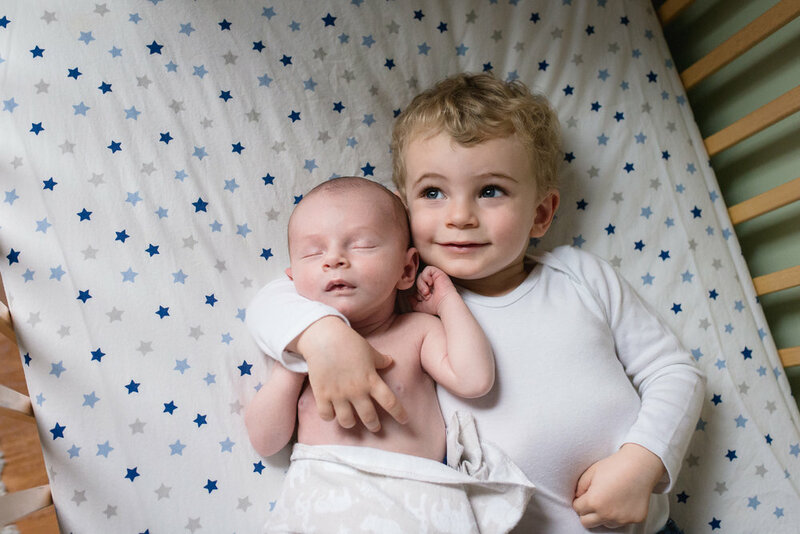 Most kids his age are at least partially freaked out about a new baby, but he was loving and sweet and just as calm as could be. He did everything I asked of him with a smile on his face. I couldn't believe how wonderful he was to work with! I can think of a certain two girls at my own home that were pretty much the biggest pains-in-the-booties ever during our newborn sessions, so watching Sebastian in action was really incredible. I left Elliott's home with a warmth in my heart and a smile on my face because his family was so sweet and completely enamored with him. You could just feel how magical this time is for them and I felt honored to help them document it. 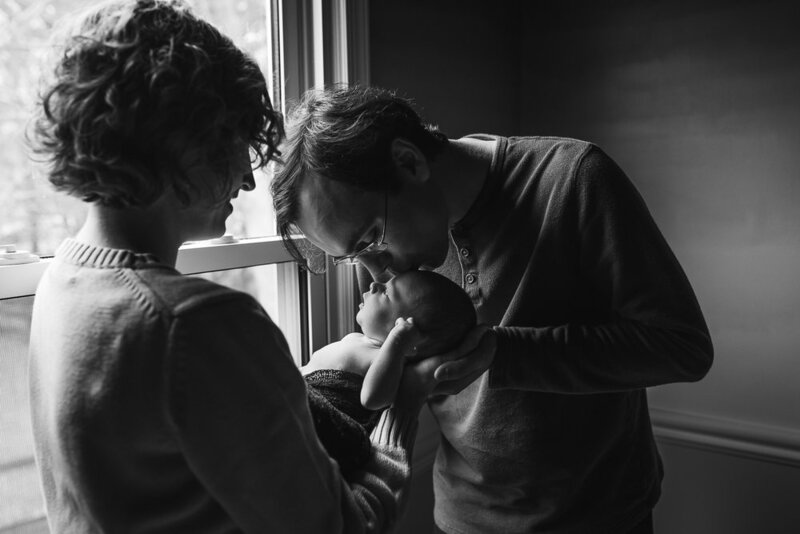 I hope that one day when they look back on these images, it is like a little time capsule that takes them straight back to the way things were, these magical, sweet first days of bringing home baby Elliott.